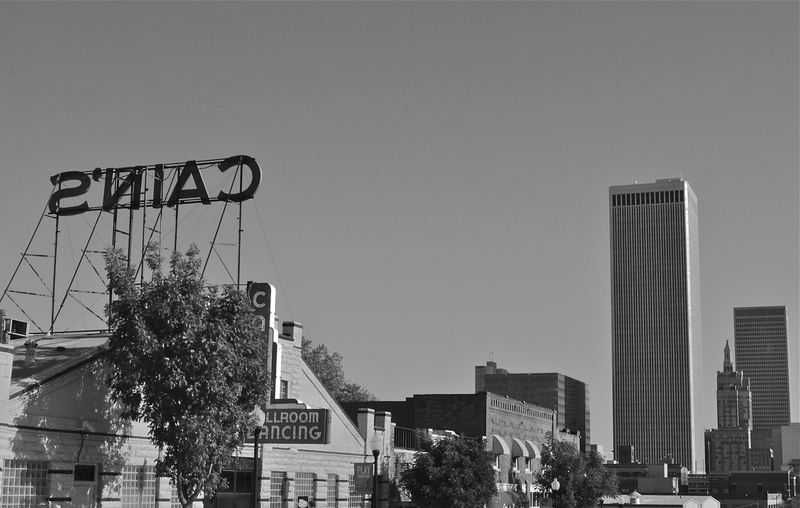 My take on Cain’s ballroom and downtown buildings, Tulsa, Oklahoma (2012). Cain’s ballroom and downtown buildings as portrayed by Ford Coppola’s movie “Rumble Fish”, Tulsa, Oklahoma (1983). Next Got some caffeine? / Tienes cafeína?